Fun LDS General Conference Ideas for Kids - So Festive! 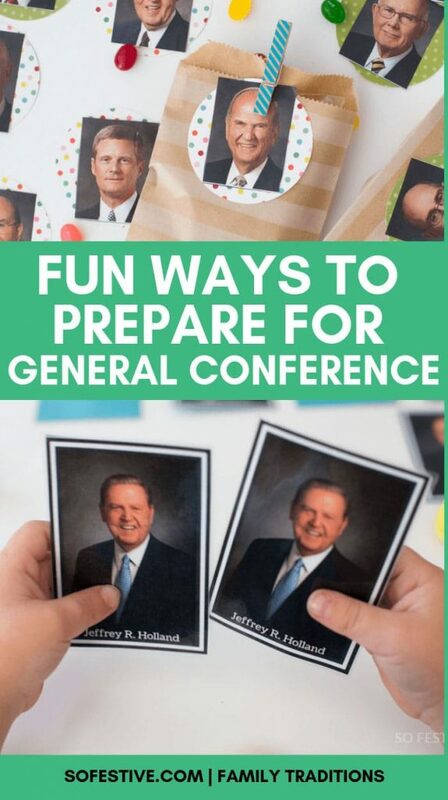 Simple & clever ways to get children excited and ready for General Conference for The Church of Jesus Christ of Latter Day Saints that happens every April and October. First, What is General Conference? General Conference is a semi-annual gathering of members of The Church of Jesus Christ of Latter-Day Saints. On the first weekend of April and October every year, the current living Prophet and other church leaders share inspirational messages to worldwide members. As members of Jesus Christ’s church, we believe that God continues to speaks to us through His living prophet and leaders. We look forward to this 2-day conference to hear what God wants us to hear for our day. Who is General Conference For? General Conference is for anyone, including YOU, who wants to be uplifted from inspiring music, talks, and to hear from God’s living prophet on the earth today. All of the speeches provide ideas and counsel for all ages from children to grandparents. You can read all the specifics of General Conference right here. General Conference is free & available for anyone to watch or listen to. You can stream it online at churchofjesuschrist.org. There are so many great ways to prepare for General Conference. I’ll talk about some things that have worked for us and our young children. You can read other ideas for older children/adults at the end of the post! our children are still wiggly and chatty and not perfectly quiet. Remember, the ultimate goal is to create an atmosphere where you and your family can feel uplifted and inspired. Whatever General Conference activities you choose to do, make sure to prep them a few weeks in advance so you can have time to talk with your family and get them excited. If you can, make this game a few weeks before conference so that everyone can be very familiar with the Apostles and Prophet before General Conference even begins. Or you can find this General Conference game in our Freebies Section. 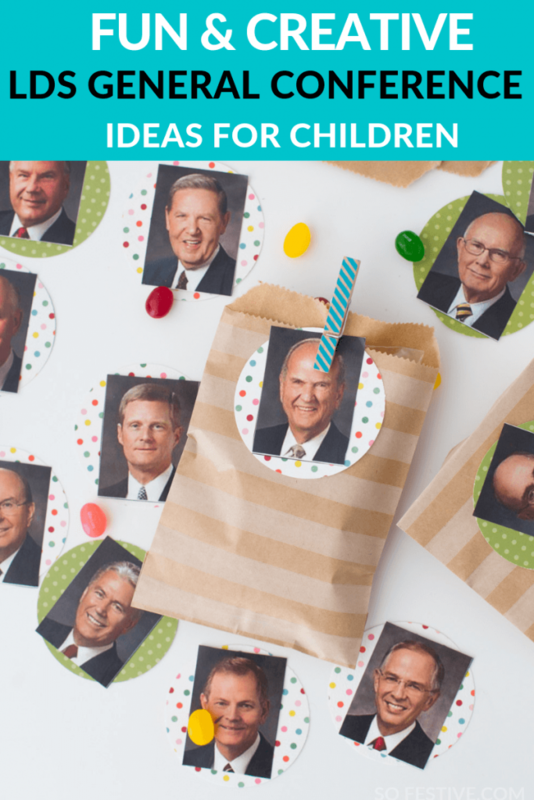 Another idea that our children love are First Presidency and Apostle Treat bags. Since every member of the First Presidency and Quorum of the 12 Apostles will speak at least once during General Conference, you can prepare a small treat or quiet activity that your children will get to open when He speaks. We’ve observed that our children really look forward to the next speaker to see if they’ll get to open a bag. Our children LOVE this! It has been a great way to keep them excited throughout all the sessions. They will hold up the bags to see which photo matches the Apostle speaking. However, the one downside is that once the treat has been eaten, they tend to lose interest in the speaker. So, just keep that in mind. Having a quiet activity would be a good way to keep them occupied during the duration of the entire talk. 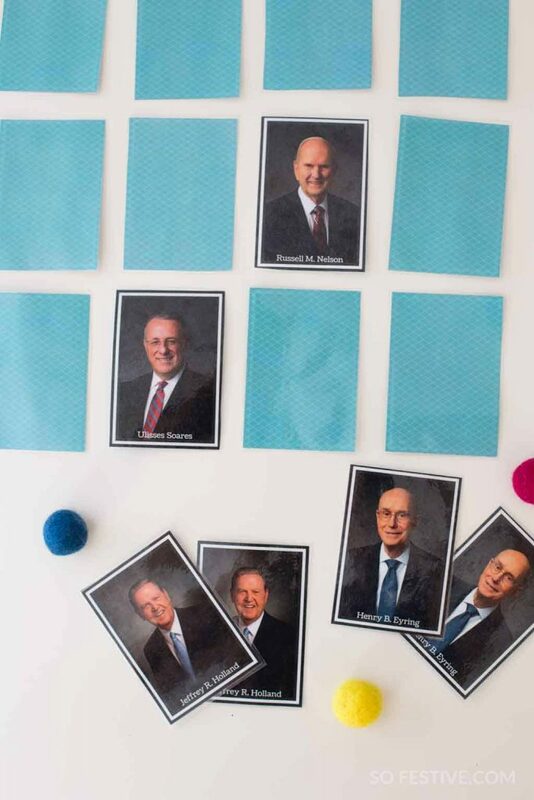 Print off the pictures of The First Presidency and Quorum of the 12 Apostles. We only make bags for these church leaders because we know that each of them will speak at least once during the Saturday and Sunday sessions. Fill your paper bags with a small snack or treat. It’s best to have a variety, but you don’t need to have 15 different kinds. You’d be surprised at how many different snacks (pretzels, goldfish, crackers, etc) you already have at home. Sometimes I’ll take my children to the store and let them pick out some of the treats. This gets them excited for General Conference! If you have a store that sells bulk candy, that’s the way to go! You can buy just a small quantity of snacks for each bag. Attach one picture to each filled snack bag. Staple the bag shut and place all the filled bags into the basket. During LDS General Conference, when that leader speaks, you get to eat that snack or treat. 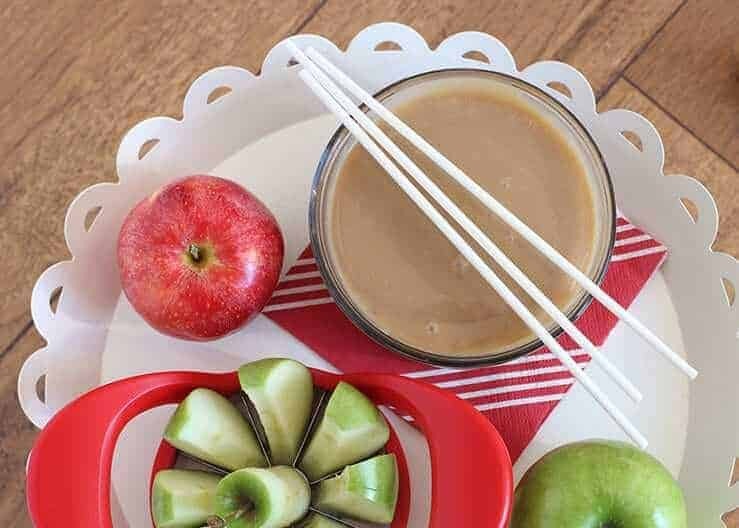 You could also do this with a simple, quiet activity instead of a treat. Tip: Make it special! We’ll make a trip to our favorite Trader Joe’s to get some novelty items we don’t usually buy. This is just one way to make conference seem extra special. Another great way to prepare for General Conference is by having food ready ahead of time to avoid having to cook during the sessions. Having some fun and special food will make General Conference an exciting weekend to look forward to. If you’re children are not old enough to take notes on their own, there’s an easy way to help them practice! For our 7 year old, I simply wrote a bunch of key words on a sheet of paper and put it on a clipboard. Any paper or notebook will work! When he heard that word, he would make a tally mark next to it. He loved seeing how many times each word was said and I was actually amazed at how much quietly he sat to listen for his words. We made one of these for each session. I hope these ideas will help you have a great General Conference! I’d love to see how you make it special at your home. Tag @sofestive on Instagram so I can see! xo. Thanks for sharing all of your wonderful ideas! I especially love all of your Conference ideas! You are so darling and I always love getting your emails for fun ideas, but I am not sure I have ever commented! Thanks again for all your efforts! You are amazing! Oh Haylee! This makes me so happy to hear! I love that my ideas are helping someone 🙂 Thanks for your sweet comment and happy conference weekend!